The weather this week has been gorgeous here in Rochester NY but sadly it won't last. The cool season is upon us. It is that time of year where our skin is changing just like the weather is changing. Many people complain about dry skin, especially dry or flaky scalp that can cause many people to feel insecure. We have an absolutely amazing treatment that we provide here at La Salon Bianca by Aveda. It is called the Pramasana Scalp Treatment. This treatment helps to balance the sebum levels in order to maintain the purity of the scalp. 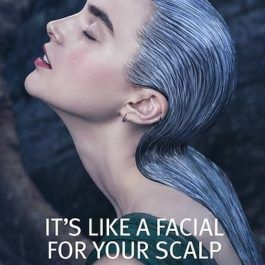 It penetrates the surface layers of the scalp to nourish and help preserve the scalps natural protective barrier, while helping protect the scalp from aggressors such as pollution and environmental stresses as well as free radical damage. *Seaweed Extracts, which help to control and maintain sebum levels in the hair. *Lactobacillus, which helps preserve the scalps natural protective barrier. *Tamanu oil, which is an antioxidant that protects the scalp from environmental stressors.